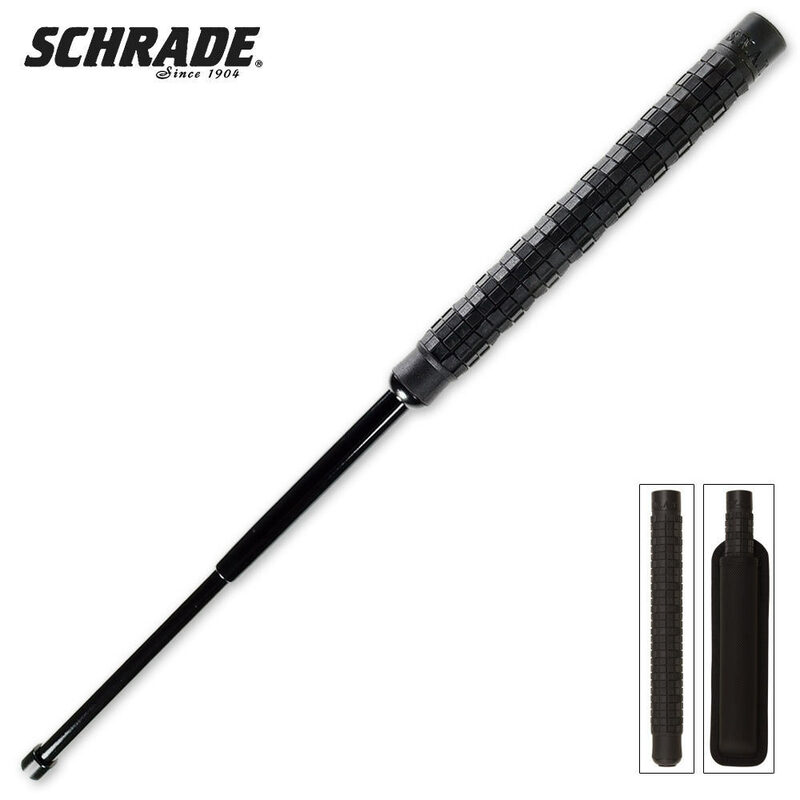 Schrade SWAT Tactical Baton 26 Inch | BUDK.com - Knives & Swords At The Lowest Prices! This 26" Schrade S.W.A.T. baton features a heat-treated 4130 seamless alloy steel tubing with a HRC of 46-47. It is an extremely tough and hard metal that delivers devastating blows to any would be attacker. The tip of each baton offers a hard metal tip which multliplys the power of each strike. A thermoplastic polyester eleastometer handle offers a firm grip and each batons includes a 1680 denier outer shell sheath. 26" overall, 8 1/10" collasped.